Voting is now open in our Summer Elections! 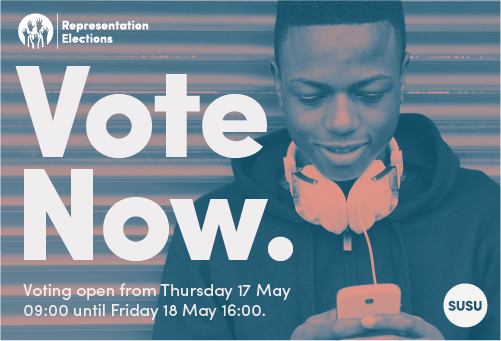 Voting opens today at 09:00 until Friday 18 May at 16:00. Make sure to have your say in who you would like to represent you, listen to your ideas and concerns and make sure positive change is made at Southampton.